A recent report, the Denver Metro Real Estate Market Trends Report for all of 2017 noted that homes sales in Denver increased by 2.93% from the previous year and the average price hit $480,140, up a respectable 8.7% over 2016. These new values have also put Denver in the “High Balance” category for conforming, conventional loans. The new limit for high balance loans for 2019 in the Denver area is now $561,200. Why is this important? Different loan programs have their own guidelines and one of the most important is the maximum limit for a loan while still meeting program requirements. The vast majority of home loans are those underwritten by guidelines set by Fannie Mae and Freddie Mac, making up nearly two-thirds of the entire mortgage market in the United States. 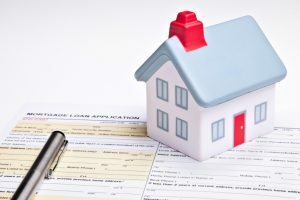 This also means loans that fall within these guidelines will carry more competitive rates compared to a loan that is not eligible for sale in the secondary market. Nationwide, the maximum conforming loan limit is $484,350 in most markets. The high balance limit in Denver County is set higher at $561,200. High balance loans are still eligible for sale in the secondary market and while the rates for high balance loans slightly higher than conforming ones. Finally, any loan amount that is above either the conforming limit or above the high balance limit in designated areas is jumbo loans. For example, in Denver a high balance conventional loan can be approved at $500,000 but if the mortgage is $1 million, jumbo guidelines apply. If you’re buying in the higher end range of homes, here is what you can expect when submitting a loan application for a jumbo loan. The initial step is to complete and submit a loan application either online or face to face with your loan officer. The loan application is referred to by lenders as the 1003. Once submitted, the lender will ask for various pieces of information from you as well as from third parties. The documentation you can expect to provide are copies of your check stubs covering the latest 60 day period as well as the last two years’ W2 forms. However, if you’re self-employed you’ll need to provide your last two years of federal income tax returns. Cash reserves are identified as the number of total monthly mortgage payments, including taxes and insurance, in an account that belongs to you. A common cash reserve requirement for a jumbo loan in Denver, for example, is 6 months. If your total monthly mortgage payment is $4,500 and the cash reserve requirement is 6 months, you’ll need an additional $27,000 on top of your down payment and closing costs. Note, non-liquid accounts like 401K or IRA can satisfy these requirements. Your lender will also work with different third parties and order documents and services needed to close the jumbo loan. For example, the lender will order a property appraisal report. This report is ordered through an appraisal management company who will randomly select an appraiser from a pool of approved appraisers. The appraisal will determine the market value of your pending purchase using a copy of your sales contract and comparing recent sales of similar properties in the neighborhood over the past 12 months. The property must be able to be legally transferred and all current liens on the subject property will need to be cleared at closing. This is accomplished by ordering a title report from a title insurance company. The report will list all current and previous liens recorded. Liens cannot be transferred to the new property but must be settled prior to closing. These and other services will be ordered, received and included in the loan package. Once complete, the loan moves to the underwriting department. The underwriter will review the entire file and compare the lending guidelines with the documentation included in the loan file. Once the underwriter determines the loan does meet program guidelines, the lender will order your closing papers. If the underwriter has any questions, your loan officer and loan processor will be notified about anything that is still needed. Your loan documents are then digitally delivered to your settlement agent. The agent receives a list of instructions provided by the lender the agent must follow. The agent will then prepare your final settlement statement and will show the final amount due from you at the settlement table. This amount will reflect amounts due to various third parties for services rendered, lender fees as well as a credit for the amount of the earnest money deposit you provided when your offer was accepted. This statement will be delivered to you at least 24 hours prior to your closing. At your settlement, you will sign your closing papers and wire your necessary funds to the settlement agent. You may also present a cashier’s check. Once everything is signed, the settlement agent then returns the signed documents to the lender. But it’s not all finished as of yet. The lender must make sure the settlement agent followed the lender’s instructions exactly. Most every time everything is done properly but on rare occasions, the lender will have a question the agent needs to answer or perhaps an initial needed on a document is missing. This takes place in the mortgage company’s funding department. Once the loan has completed its final review, a number is given to the settlement agent referred to as a “funding number” which is essentially a digital code that releases the funds for the mortgage. The jumbo loan process has now been completed. Buyers can learn more about all the latest low down payment Jumbo loan options here. Both 10% and 5% down payment options available to qualified buyers. Please contact us with questions by calling the number above, or just submit the “Request Contact Form” above.